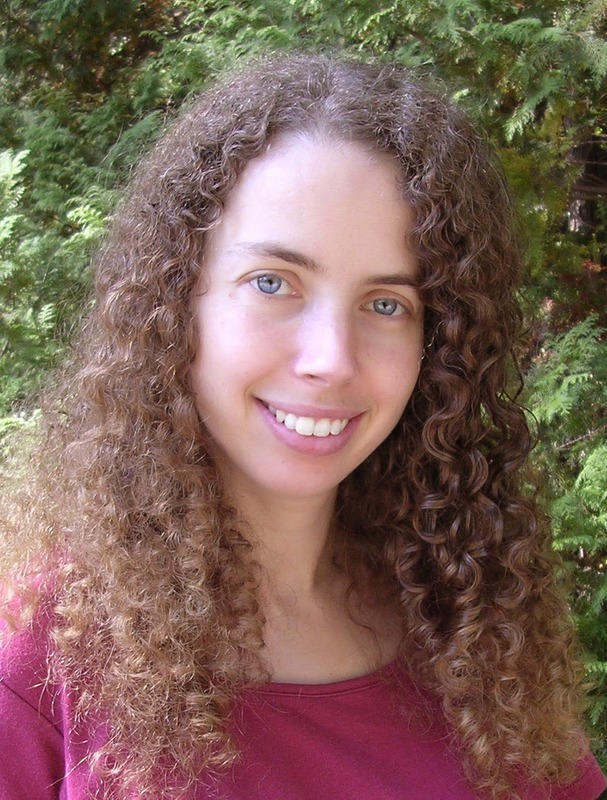 Today I get to ask Sarah Beth Durst a few questions. I am a fan of her books and was eager to read her newest book - The Lost - which is her first book for adults. I really enjoyed the story which was released yesterday. Here is the description of The Lost. • How long does it take you to write a book? Here's a happy secret that no one ever told me: it gets easier. Yes, each book presents its own challenges. Each time, you have to wade through the murk and fog before you can find the story's core. But the more you do it, the more you learn about your own writing process -- and the more you can hone in on the stuff that works for you and discard the stuff that doesn't. And that can make you a lot more efficient. And a lot happier. When I first started, it took me about two years to write a novel. And then, it started taking one year. Now, it takes me about six months. • What would you say is your most interesting writing quirk? I wish I had an interesting quirk to tell you, such as I only ever write when the moon is waning or I have to dance a jig before each battle scene. But the truth is, when I write, it's just me sitting at my desk. Usually, I have chocolate nearby. • Do you have a routine that you use to get into the right frame of mind to write? Nope. Or, more accurately, I try hard not to have a routine. Needing the right frame of mind, the right environment, the right amount of free time... all of that can be dangerous. It's far too easy to say "I only have five minutes before I have to leave. That's not enough time to write.." Or "The TV is too loud in the other room. I can't concentrate." Or "I'm too tired tonight." Or "I don't feel inspired right now." The trick (or at least the one that works for me -- your mileage may vary) is to write as often as you can -- even if it's only a few sentences, even if it's only a few very bad sentences. The act of writing in little bits demystifies writing and makes it not such a big deal. It doesn't always work, of course. Sometimes you really are too tired and the TV really is too loud. But in general, writing every day is the best thing I've found for warding off the dreaded writer's block. • Where do you get your ideas or inspiration for your characters? The characters usually arise out of the story. I ask myself, "Who would this affect the most?" and try to write that person. 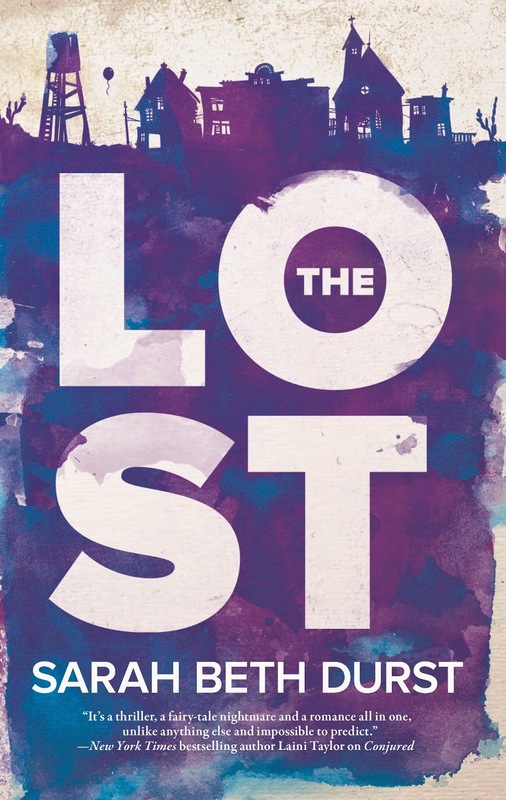 For example, my new novel THE LOST is about a woman who is trapped in a town full of only lost things and lost people. I wanted a character who feels lost and empty. She's given up her dreams and works a dead-end job to support her sick mother. She's terrified to hear the results of her mother's latest medical test. And so, one morning, she gets into car to go to work and instead of turning left at the light, just drives. And drives. And drives. Until she ends up in Lost. • How do you decide what you want to write about? I decide based on which idea I keep thinking about -- the one I wake up thinking about, the one that pokes at me while I'm at the supermarket, the one that makes me say, "Ooh, cool!" as I work on it. I firmly believe it's important to write what you love to read. • What made you decide to write a book for adults? The story decided for me. It's about loss, and I wanted it to be about a person whose life felt empty. For that, I needed someone a little older... and voila, it was a book for adults. For me, it's always story first, age second. • What books have most influenced your life? When I was ten years old, I decided I wanted to be a writer. And I was absolutely influenced by the books I was reading: Alanna by Tamora Pierce, Deep Wizardry by Diane Duane, The Blue Sword by Robin McKinley... All books about strong girls doing the impossible. I remember thinking, "If Alanna can become a knight, if Harimad-Sol can defeat an army, then I can become a writer." • What is the first book you remember reading by yourself? I don't have one single book that jumps out at me as "first." But I do remember I loved Ruth Chew's Witch books and Encyclopedia Brown and Trixie Belden, as well as Lloyd Alexander's Prydain series, from a very young age. • What are you reading right now? A Natural History of Dragons by Marie Brennan. It's fantastic! • What do you like to do when you are not writing? Spend time with my family. Also, eat. • What is your favorite comfort food? Pizza. And I consider chocolate to be my muse. Oh, and raspberries probably count as my all-time favorite food, especially sun-warmed raspberries straight off the bush. • What do you think makes a good story? For me, a good story is one that makes me feel like the world is a little more wonderful and more magical than it was before, and that I am a little stronger and a little... larger inside than I was before. • Who would you consider your favorite author and why? Tamora Pierce. Her books are full of hope, empowerment, and awesomeness. • What book, if any, do you read over and over again? I reread those books that first made my heart soar. Books like the ones I've mentioned above, plus Dreams Underfoot by Charles de Lint, Howl's Moving Castle by Diana Wynne Jones, Talking with Dragons by Patricia C. Wrede, Dragonsinger by Anne McCaffrey, Arrows of the Queen by Mercedes Lackey, and the Belgariad by David Eddings. Cats. But I love both. Growing up, I always had a Labrador retriever and at least two cats. • Dark or milk chocolate? Day. Sometimes I think I have chlorophyll in my blood. Sunlight makes me happy. Crayons. There's something very satisfying about drawing in crayon.